Have you ever looked at a massive window and wondered how in the world it could be energy-efficient? After all, a big sheet of glass just seems like the kind of surface that would cause problems with heating and cooling. Thermal windows, on the other hand, solve much of that problem. Even the largest thermal windows make good use of special construction and materials to provide the best energy-efficiency possible, even for those areas of your home or office building that receive a great deal of sunlight during the day. 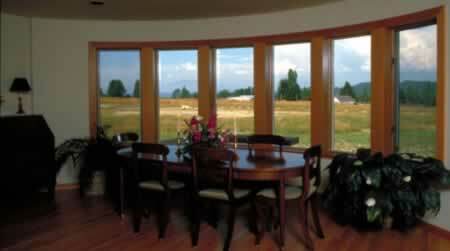 Thermal windows have different thermal ratings that determine just how energy-efficient they are. Depending upon the area of the country in which you live, and the amount of sunlight you receive during the day, your thermal rating might vary even among the windows in your own home. Check with a window expert to determine which kind of thermal windows you need.